“It’s aÂ Monday eveningÂ in Berlin and post-Victorian duo Sister Chain and Brother John launch their new vinyl single ‘Staying in Soho’ (yes a 7 inch single!) 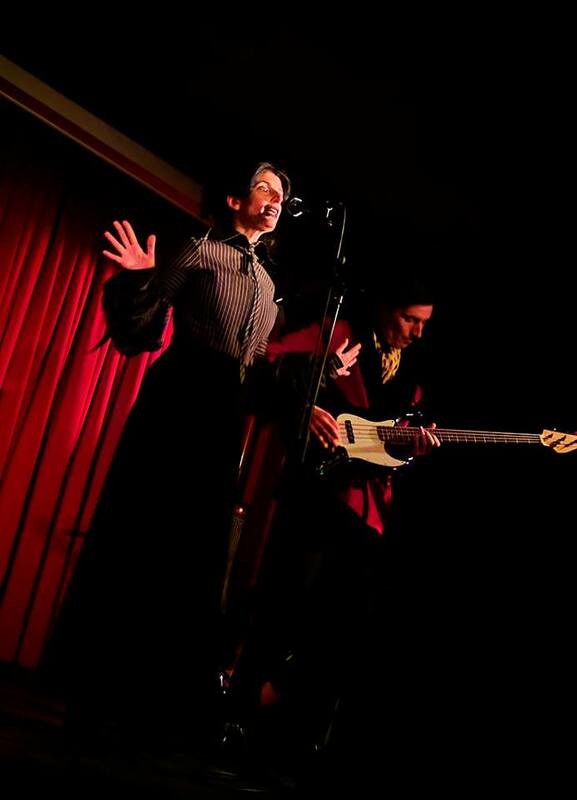 at the Roter Salon, a subsection of the legendary VolksbÃ¼hne. The place is adorned in sumptuous red and Brother John looks resplendent in a red smoking jacket, while Sister Chain hails straight from Spring heeled Jacks’ London smog. Together they are a time travelling classic and unforgettable duo. The evening is supported by a documentary on the unique Berlin ‘English bookstore’ ‘Another Country’ directed by Anna Byrne and David Gordon (co-owner of Curious Fox books) where Sister Chain and Brother John first met. Well it’s not an ordinary bookstore being Berlin of course…!